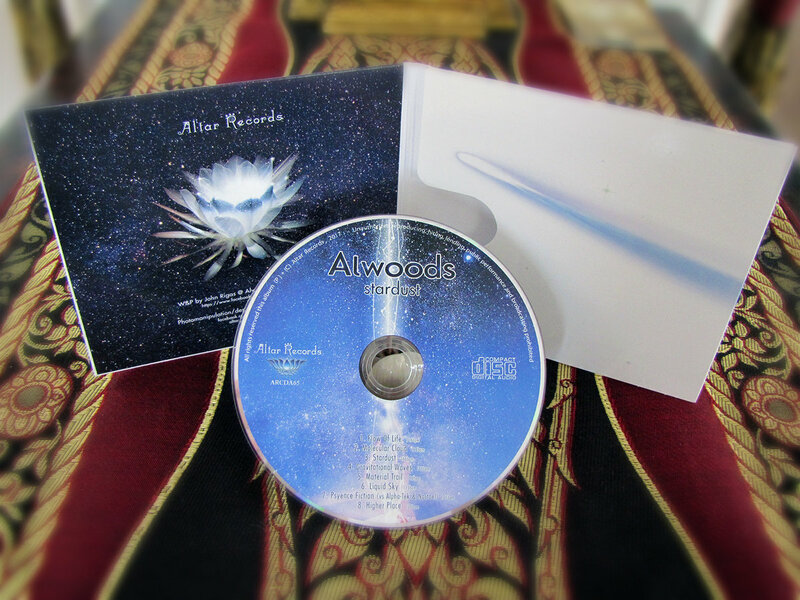 Out now the new ALWOODS album "Stardust" ! Alwoods (John Rigas of Greece) is a man who needs no introduction. As an artist and DJ he makes no compromises when it’s time to rock the dance-floor, and is known as one of the ‘go-to’ artists for raising the vibration through perfect dance-floor friendly grooves. 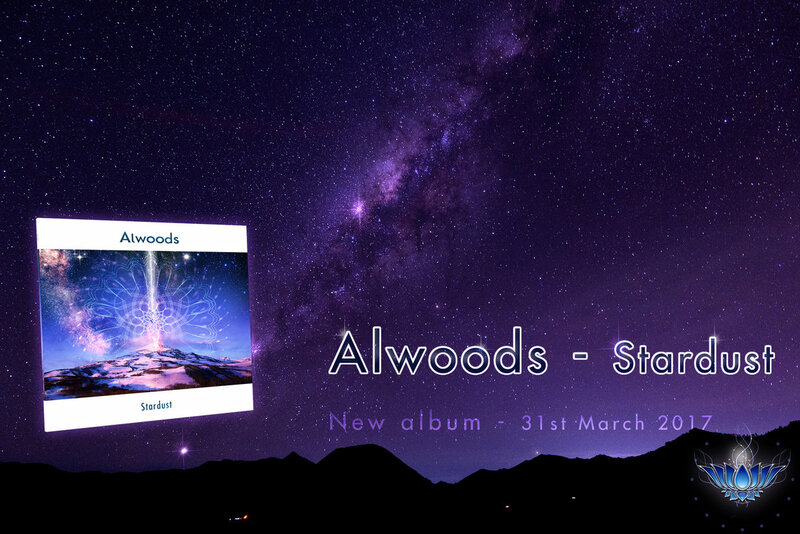 After his universally acclaimed releases "Aeolian Mode" and "Long Life Forest”, Alwoods latest stellar tracks have been tested everywhere on planet for the last four years, as he’s toured relentlessly on the psytrance festival circuit..
His new album "Stardust" is a major release guaranteed to set dance-floors on fire this summer and create a new level of psychedelic experience for lovers of slow trance, mid-tempo and progressive chill. Alwoods fans are in for a treat as are those who will be discovering the man and his work for the very first time. While on tour he discovered new production and composition techniques experimenting and collaborating with fellow musicians, and it really shows on this album. He’s also upgraded his studio gear along with his production skills, all for our listening pleasure. And the reactions have been off the charts for one simple reason: this is an exceptional album full of groovy signature Alwoods vibes not to be missed. “Stardust” is presented in the form of a hero’s journey: exploring the outer reaches of space -with all the thrill of new discoveries- from light, to darkness, and back to light. It’s a journey you’ll want to take again and again, as it’s filled with revelations that are revealed with each new listen. In classic Alwoods style, deep, trippy vibes connect the listener to the celestial spheres and a higher consciousness, while the driving beat keeps things very much dance-floor friendly, allowing for a unique and uplifting collective trance experience. All songs are in the well known 4/4 Alwoods style with a fantastic use of digital and analog sounds, polished in the mastering lab of Altar Records by DJ Zen in 24bits pristine audio. There are shimmering, atmospheric textures that combine with pulsing rhythms and solid drum programming, like the beating of a universal heart radiating purpose and luminescence. And the title track (‘Stardust’) is a mid-tempo groover featuring a snaky bass line, synth stabs, and dubbed out fx. It strikes an incredible balance between the original Goa Trance ethos and the newer Progressive Chill approach to production….a rich and rewarding experience that oscillates between edginess and resolution. John's new album is for keeps and the culmination of his years of production and touring experience. Get some audio magic in the form of “Stardust” in your ears today and experience an inspiring gift from the stars!